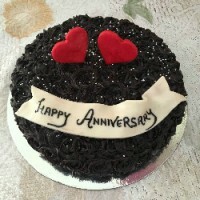 Nothing can be sweeter than a Black Forest cake and lovelier than a bouquet of red roses for a .. 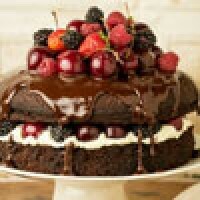 This cake comes in delicious black forest flavor and weighs 1/2 kg. 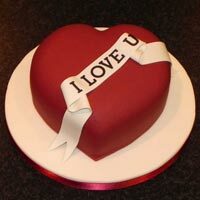 The cake is round in shape and t..
Cakes are enjoyed by all no matter the age. Hence, send this delicious 1 Kg Heart Shaped Pineapple C.. Celebrate the specialness of the occasion with this super delicious 1/2 kg strawberry cake with your..
Gorgeous Cosmetic Cake which is having different makeup Products. The cake is having different acces..